If it’s been a while, I don’t blame you. It’s a pain to take everything apart and clean every drawer, every nook. But, it’s gotta be done. I mean, you’ve probably got entire colonies of bacteria growing in there. This may be really neat in your kids’ science lab, but it’s probably a good idea to keep such experiments confined to a lab, not your fridge. If your fridge is in dire need, (and face it, it probably is,) give us a call at 267-236-4792 , and we’ll make it sparkle for you. 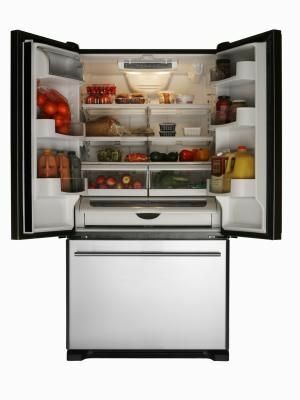 In fact, it’ll seem like you just got a new fridge without paying thousands of dollars – not to mention that it’ll simply be more efficient at its job if it’s completely clean in there. Have you taken a good look at the inside of your microwave lately? Don’t look too close; you may scare yourself. It’s just one of those things. No one thinks to really give the inside of the microwave a solid cleansing inside and out. You have this task to do – but it never seems to get done. And the goopy residue left by dozens and dozens of microwaved meals is not doing your health any favors, either. It takes time to bring the exterior and interior of the microwave back to that brand new, out of the box appearance. And that’s where we can help. If your microwave is not just nuking your meals but nuking past meals – give us a call at 267-236-4792, and let us do the dirty work. After all, it’s our job! We’ll give your microwave that out-of-the-box shine you haven’t seen since it was installed. With these two problem appliances looking and working their best, you’ll finally have conquered your kitchen wasteland! Call us today at 267-236-4792.